I enjoyed working with Holly very much. She is cheerful, professional and understood my style. 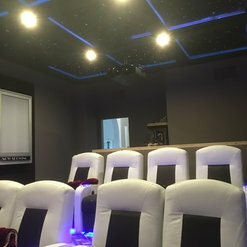 The morn working for Island Time Renovation and Design were excellent workers. I have recommended Holly to others and will continue to do so. 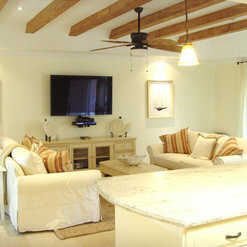 Island Time completely renovated my condo and I absolutely love it! It perfectly reflects my design style and preferences, yet stays within a very strict budget. 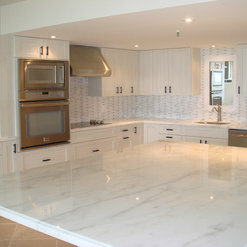 I highly recommend the design team at Island Time Renovation & Design. They are creative, responsive, and very professional. 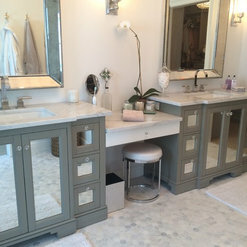 If you are in the market for remodeling your old, tired, worn out looking home, condo or cottage then I'd highly recommend that you speak with Holly at Island Time R & D and let her and her team of expert designers, decorators and builders provide recommendations for you. You will not be disappointed. Holly is unique in that she is a general contractor and a decorator. 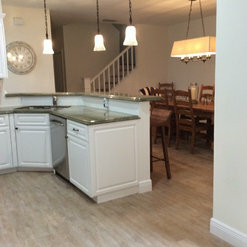 She and her team totally transformed our 40 yr old beach condo with its original 1970's décor into a totally modern, cool, warm, eclectic home complete with modern kitchen, awesome custom ceilings, fireplace, really cool barn door room separator, awesome bathrooms and much more. 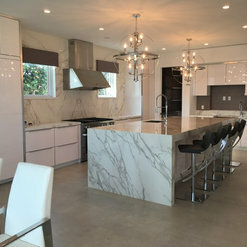 Pretty much soup to nuts- took out all the old furniture and fixtures, reconfigured the space with some custom built in's, guided us with furniture selections and delivered a pretty turn key modern, warm beach condo. 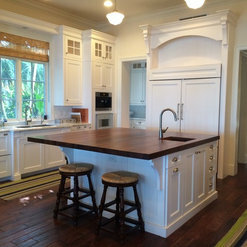 Even if you decide not to use Island Time for your remodel you owe it to yourself to at least meet with them. You will not be disappointed. Have done business with Island Time multiple times and have seen their work, progress and finished product. 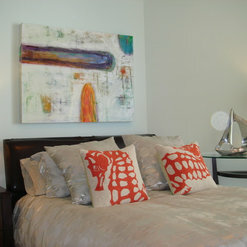 Atmosphere is always professional and the quality of work is exceptional. Would recommend to anyone looking to renovate or build new construction. 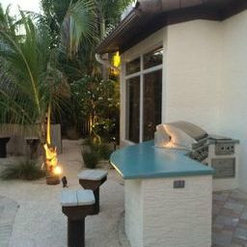 I hired the Design Professionals at Island Time Renovation & Design to help me improve the curb appeal of my home. Their recommendations were excellent! They suggested things that I never would have thought of on my own, but turned out to be exactly what I needed. They worked within my budgetary limitations and respected my color and design preferences. My house looks fantastic now! I highly recommend them. Holly and her amazing crew transformed our home from a typical over-decorated boring set of rooms into the comfortable beach house it was meant to be. Highest quality workmanship, and a vision with complete follow-through made for a great experience. We bought a home on Singer Island after vacationing in the nearby area for a month in 2013. The outside of our new home was in need of a fresh coat of paint. I contacted Holly to see if she could help with this project. She was enthusiastic and thorough in her explanation of the process her paint crew would use to ensure not only durability but a great looking end product. She skillfully matched the old color of the home since we didn't have any left over paint from the previous owners. The project was started almost immediately and finished in about a weeks time. The best part of all this was that we were in Atlanta and never had to come down to oversee this project. I would highly recommend Holly for all home projects you have inside or out! She knowledgeable is easy to work with. I speak from experience since my husband and I are serial home buyers and have worked with many professionals over the years. 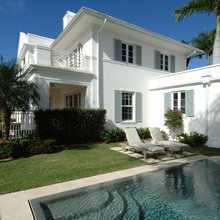 we purchased a property in palm beach gardens which needed a considerable amount of renovation and design expertise. we were based in Canada so needed someone to guide us, advise us and give us the confidence to proceed. 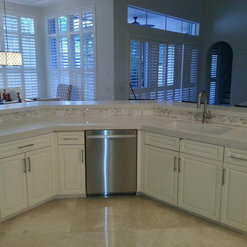 Island time renovation and design met all our expectations. we now live in paradise ( as our numerous visitors will attest to!) Happy to recommend Holly and Alex Bondar. 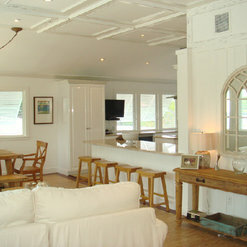 Worked with Island Time Renovation on a beachfront condo we purchased in 2011. Added a beautiful full third bath to a 1/2 bath which allowed for a speedy sale in 2013. 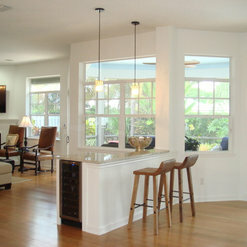 We purchased a home in the area and continue to work with Island Time to decorate, maintain and improve our home. We have been very pleased with the many services and professionalism provided by Holly and her team at Island Time.